AileyCamp is an innovative summer program for children ages 11–14 that uses disciplined dance training, creative communication, and personal development to help campers develop a respect for themselves and others that will meaningfully impact their lives. Since its inception in 1989, this national program has reached thousands of children in 10 cities across the country. AileyCamp provides direction and hope to children who are in need inspiration towards a bright future. 2018 also marked the 30th anniversary for AileyCamp nationally. Alvin Ailey believed that “dance is for everybody,” and was especially dedicated to using dance to enhance the lives of underserved youth. AileyCamp represents a vital continuation of Alvin Ailey’s vision, using the power of dance to enrich and positively alter the lives of children. AileyCamp Baltimore at Towson University opened its doors in 2014. Dance education is a moving form of alternative education that can lead to academic achievement. Training within the AileyCamp model requires discipline and structure that young people often lack in their lives. Young people deepen the grit and self-advocacy skills so necessary to first-generation college students. Now in its fifth year, AileyCamp Baltimore 2018 was our very first six-week camp and ran June 18–July 27, 2018. We served 64 underserved middle school students who were encouraged to explore their identities and impact (socially and environmentally). AileyCamp is a physically and mentally demanding program that uses disciplined dance training, creative communications, personal development, field trips, and social activities to develop skills that impact their success. It is our wish that every AileyCamper receive a full tuition scholarship, as well as uniforms and meals free of charge. Under BTU impact areas Vibrant Arts and Cultural Community and High Quality and Equitable Education, BTU supported partial salaries for our AileyCamp Baltimore group leaders (who are also Towson University students) as well as bus transportation for all of our field trips. Like TU, AileyCamp Baltimore’s priority is having the greatest impact in our campers’ lives while growing and sustaining our community partnerships. Our first field trip was to the Merritt Athletic Club (MAC) in Towson where the campers enjoyed a relaxing day at the pool. We have enjoyed connecting with this community partner for the past four years. The second field trip was to the Hippodrome Theater in downtown Baltimore. Our campers experienced a day of Hippodrome Camp. The day included singing, acting, dancing and learning “My Shot” from the Broadway musical “Hamilton.” This is the second year we have collaborated with the Hippodrome for camp activities. Last year, some members of the cast of “Finding Neverland” spent the day working and talking with AileyCamp Baltimore at the Hippodrome Theater. Our third field trip was to the National Aquarium in downtown Baltimore. Our campers enjoyed a relaxing day at the Inner Harbor experiencing all of the wonderful exhibits the aquarium has to offer. 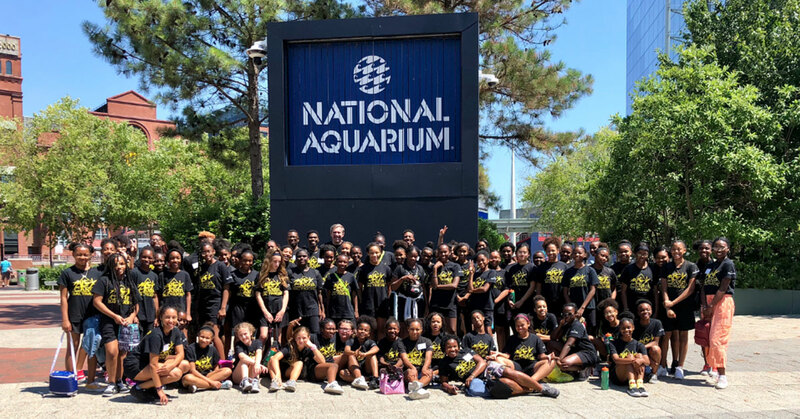 This was the first time we worked with the National Aquarium, which donated the tickets for all 64 campers and 16 staff members as a part of their Community Programs. We are grateful to both the National Aquarium and BTU for making this trip possible. Our leadership team of returning campers traveled to Paul’s Place for a day of volunteering and service. 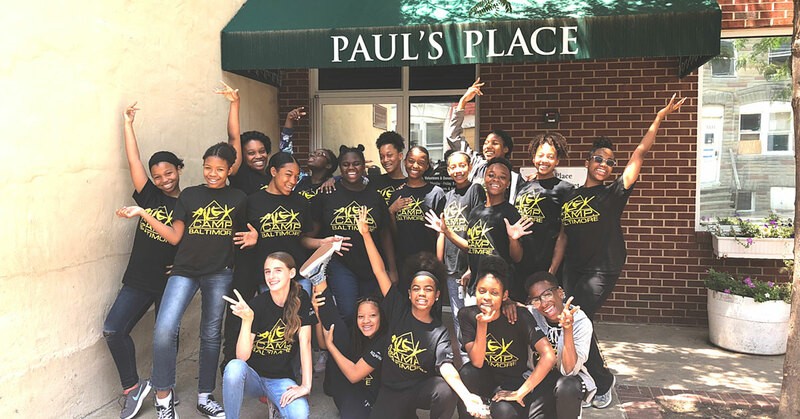 Located in Pigtown in Baltimore City, Paul’s Place provides programs and services to those in need while fostering hope and dignity in their community. 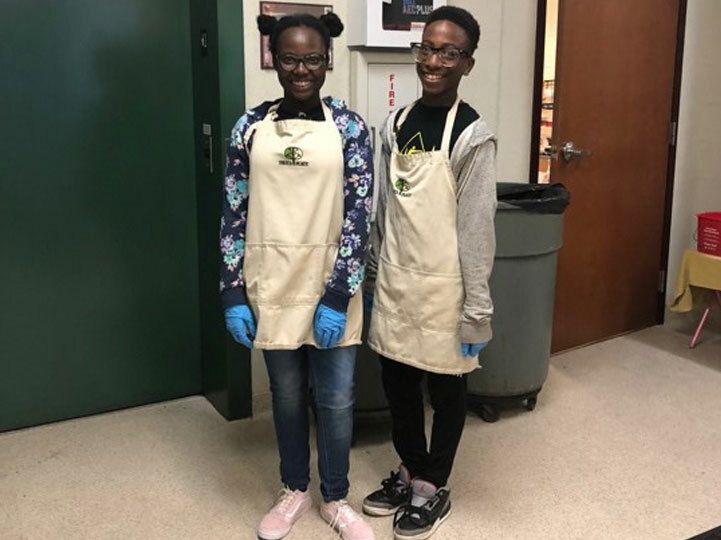 Our 18 campers worked in the dining hall serving meals to those in need, sorting donated clothing, and helping shoppers in the Paul’s Place boutique. This is our second year serving Paul’s Place. All 18 of our campers received 2.5 hours towards their service learning hours for school. Linda-Denise Fisher-Harrell is a Professor of Dance at Towson University. She began her dance training at the Baltimore School for the Arts under the guidance of Sylvester Campbell and Stephanie Powell. She was an apprentice with the Capitol Ballet in Washington D.C. and a full fellowship student at The Ailey School. She attended The Juilliard School before joining Hubbard Street Dance Chicago. Ms. Fisher-Harrell joined the Alvin Ailey American Dance Theater (AAADT) under the direction of Judith Jamison where she became a principal dancer. 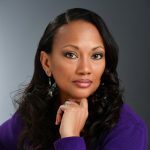 Her research and scholarship in continuing the Ailey legacy within the Towson University and Greater Baltimore community has resulted in the Ailey II residencies in 2011, 2012, 2013, 2014, 2015, 2016, 2017, and 2018 hosted by Towson University and the establishment of AileyCamp Baltimore at Towson University in 2014.